This year's Super Rugby tipping comp starts on Friday 23 February and will conclude after 18 rounds in mid-July. It's back to 15 teams after a few years of Super 18s! of 9/9 scores a bonus point; ditto for 8/8 or 7/7 when there are byes. This is the 17th edition of the Super Rugby tipping comp, first run in 2002!.. 2017 competition was won by Howie72, with paper_aero and George95 following him. Dizart (2016), Ozzz2002 (2015), PaulE (2014), Sypher (2013) and Howie72 (2012) were the 5 previous winners of this competition in recent times. As you can see, NOBODY has been able to retain their title in the last few years paper_aero has finished second 4 years in a row now and should be itching to finally go one better...Can Howie72 break the repeat winner hoodoo? Or will it be a new winner yet again? Welcome to the 2018 edition of the Super 15s (was Super 18s last year). We welcome back LeoDaVinci to the comp, but missing from the starting blocks are Davjack and illiniman14, giving us a lineup of 13 as against 14 last year (and the year before). The season began last week with 2 matches in the South African conference, and the 7 this week, and it's already looking like it will again be one dominated by teams from New Zealand. The one-odd difference here and there and results of matches between the Kiwi sides is all that will probably separate us too here. Road teams had a better week, with 4 of them winning and another holding their hosts to a draw. The Chiefs bounced back from their round 1 defeat to beat the Blues, the Lions, Rebels and Hurricanes were too strong on the road and the Waratahs held the more fancied Sharks to a draw. That last named match earned 4 of us here bonus points as they dared to pick the road team. wwe84 stretches his lead after bagging a bonus point for being the only one to pick the Reds defeat of the Brumbies. George95 picked up a second consecutive spoon. PaulE lodged picks more than 70 minutes after the start of the first match, so lost out on the Chiefs' win. Good round for the home teams as 6 of the 7 won. Rebels continue their unbeaten start to the season. The Jaguares won for the first time this season, as did the Sharks and the Blues....The Blues after losing to their fellow Kiwi teams in the first 2 rounds, bouncing back to win against a strong Lions side on the road. Howie72 should have gone with his instinct instead of his heart, as the Hurricanes beat the Crusaders. Another good week for the home teams. 6 of them won. The Crusaders lost for the second week in a row on the road. The Rebels lost for the first time this season. The Brumbies, Stormers, and Waratahs all bounced back for home wins after losses on the road last week. The Blues won on road last week, but lost this week. The Sunwolves continue to put up a good fight and lose in the end. Another good week for wwe84 too...He picked up another HoF with a 6/7 performance and increased his lead at the top by a point. Two matches were picked by everybody while another two matches had 3 picks each, so people missed out on sole pick bonus. ElfTwinkle takes her second spoon in as many weeks and is in the cellar, just a point behind the equally-struggling srini701. Another good week for the home teams with everyone except the Tokyo Sunwolves winning! That included the Jaguares, who beat the Gauteng Lions for the second year in a row at home. None of us had faith in the Jaguares except our leader, wwe84! Another funny week for us here with everybody again scrambling to get either a HoF or a spoon! 3 matches were picked by everyone and 1 had only a sole pick (wwe84). wwe84 stretches his lead quietly by another point with his 3rd bonus point of the season. ozzz2002 is still looking for his first HoF. Probably a good week to have gone default, as 4 road teams won...LeoDaVinci is happy as he scored more than 7 of us who lodged picks this round  ElfTwinkle and ozzz2002 made it back to back entries for themselves in the same column as last week, while our leader since day 1, wwe84 stretched it by a further point. All this means wwe84's 4-point cushion at the top has vanished in a trice, and he needs to get his magic cap working again quickly if he is to fend off the chasing pack. ElfTwinkle lands another spoon and finds herself in the cellar...she's the only one without a bonus point this season, but more interestingly, she has managed to find herself an entry in either the HoF or the spoon column EVERY single round so far   ! wwe84's run at the top is over after a 3rd successive spoon...ElfTwinkle continues her color streak. She's the only one without a bonus point too! Another roller coaster week, with 3 road teams winning. One of them is the Jaguares, who are now 3 for 3 on the road after a poor start to the season! The Highlanders just about squeezed past the hot Blue Bulls, while the Crusaders pounded the Brumbies, who have now lost their last 3 matches. The Sunwolves continue to lose (0/9 this season and desperate for a win from anywhere), while the Lions continue their wayward form, losing on the road this week to the Reds. The Beunos Aires Jaguares continue to be on fire! They won for the 4th week in a row on the road, this time in New Zealand, beating the Waikato Chiefs  The Crusaders and the Hurricanes, who also won this week, are the only two other teams with some sort of win streak! At the other end, the Melbourne Rebels, after wins in 4 of their first 5 matches, have lost 5 in a row now. The Lions have lost 2 on the road now, the Brumbies (with a bye this week) are on a 3 match losing streak (somebody will finally win when the Brumbies play the Rebels next week  ) and the Sunwolves are still searching for their first win of the season. The Tokyo Sunwolves have finally won a game this season! And they did it in some style too, hammering Queensland Reds. That debacle by the Reds only accentuate the woes of the Australian teams in the competition. They are now 0-39 against all Kiwi oppositions going back to 2 years since their last win, after the NSW Waratahs blew a 29-0 lead and choked against the Canterbury Crusaders. The Melbourne Rebels broke a 5-match losing streak, winning against fellow strugglers ACT Brumbies. ElfTwinkle continues her colourful ride through the season, this time with 2 more bonus points! She put faith in the Sunwolves and is now off the bottom of our table because of that  Elf is one of the 5 weekly winners this round, but Sypher helped add one to the spoons column by taking his first for the season. Dizart is in sole lead now. One predictability we can do without in our comp here is the number of HoF winners each week. Half the field again took the honours (5 people same as last week, and N-Bomb replacing ozzz2002), and we now have more HoF winners this season than the spooners and bonus points combined  We have only had 4 rounds this season so far with a sole winner....maybe next season we should introduce a bonus point for a sole weekly winner, like in the FAPL  . It was business as usual over the weekend in the Super 15s, though Howie72 said he jinxed the Hurricanes (he should know what he's talking  ). The Hurricanes lost for the first time since round 1 of the season, going down to the Crusaders in a top-of-the-table clash. The Crusaders have now won 9 on the trot and are 5 points clear off the Hurricanes, though the latter have a game in hand. Elsewhere, the Jaguares continued their recent run of form, notching their 6th win in a row; the Rebels and the Chiefs both won at home, while probably the only "surprise" of the round was the Brumbies winning on road against the Bulls....a result only Sypher foresaw coming here, for a bonus point. The South African Conference was on a break this week and we managed to get ALL our picks into the table this week! The Hurricanes lost, but 4 of us picked it. The Blues continue to be the worst Kiwi side in the comp and this time they lost at home to the Rebels, and this was perhaps the only surprise of the round....wwe84 and PaulE manage to bag bonus points for the "upset." 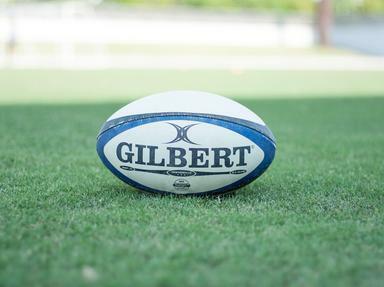 The Super Rugby competition resumed after a 3 week International break and Howie72 thought it would be the "toughest week"...it was...Canterbury Crusaders got a break right after the Internationals, and also saw their closest rivals for the title race slip. The Wellington Hurricanes lost their 3rd match in a row, losing (of all people), to the ACT Brumbies. The Waikato Chiefs beat the Otago Highlanders in Suva, Fiji to move into third place. The Gauteng Lions lost too, on road, in an "upset", to the Natal Sharks, while the other "upset" of the round was the Pretoria Blue Bulls losing, on road, to the Tokyo Sunwolves. Meanwhile, the NSW Waratahs won against the Melbourne Rebels, and both teams still harbour hopes of making it to the play-offs. We had a poor round as a group as the break clearly affected us too. George95 won an HoF to move into joint lead, as the other leaders all slipped up. gtho4 had the best of the rounds, winning an HoF with 2 bonus point to boot, to put himself in contention for a medal. With just 2 rounds left in our comp, Dizart and George95 will probably end up on the podium, with a mad, mad scramble between the next 5 for the last spot. LeoDaVinci won his first spoon for the season and helped plugged the last hole in our table.